We were tasked with coming up with a solution for a clients bathroom in Swanley, Kent. The client was looking for a waterproof window dressing, which not only looked stylish but provided the perfect mix of privacy and lighting 24/7. 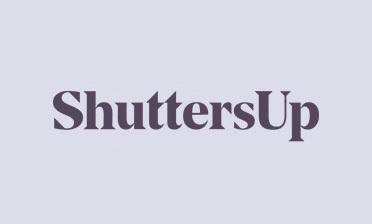 Our shutters are the perfect solution for this kind of job. By adding a mid rail in the shutters at the correct point we were able to allow the bottom half to provide enough privacy to the bath area, while still allowing enough light in through the top section. They could also be designed to neatly match the lining of the windows behind! 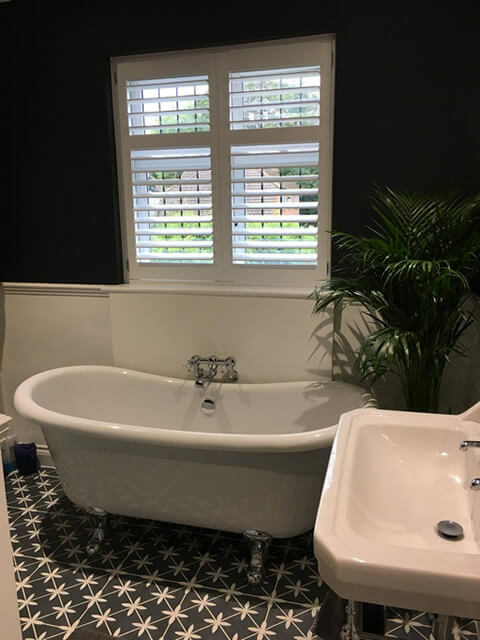 Not only have the full height shutters provided the perfect privacy and lighting, but they have been created using a waterproof ABS covering which means that they will easily stand the test of time, even if they come into contact with water from the bath or general moisture throughout the bathroom. 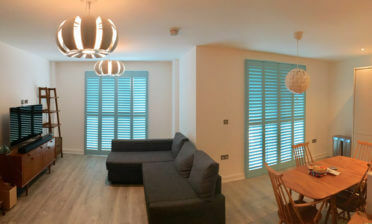 The shutters feature thick 89mm louvres with a silent tilt rod system, creating a minimalistic look and can also be adjusted through touch without the need for rods, even with wet hands thanks to the abs coating. We finished the shutters in pure white with stainless steel hinges which are anti corrosive due to the room they are installed in!